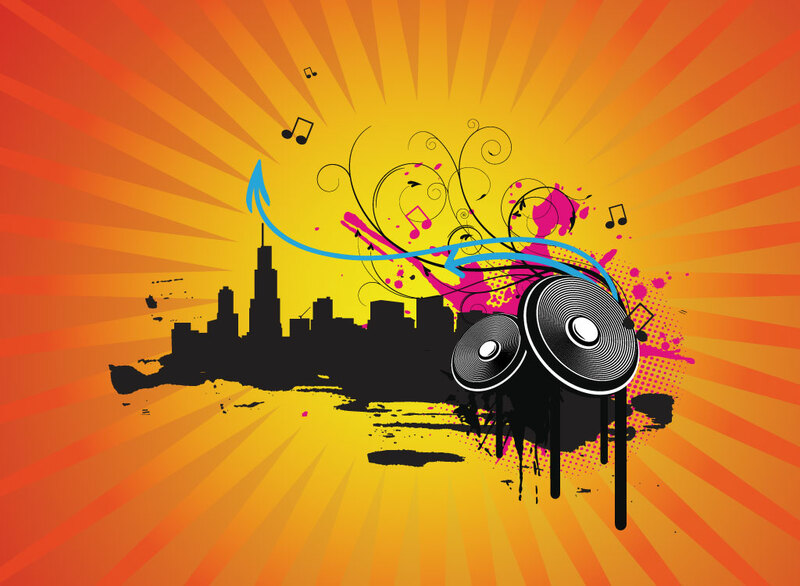 Free music vector collage design with city skyline silhouette splash and drip elements, curving arrows, scrolls, music notes and speakers. Music graphics are set on an orange and red star burst vector background. Cool music and urban lifestyle inspired artwork for your screen-printed t-shirts and posters. Tags: Bar, City, Flyer, Music, Party, Poster, Skyline, Skyscrapers, Speakers, Urban.